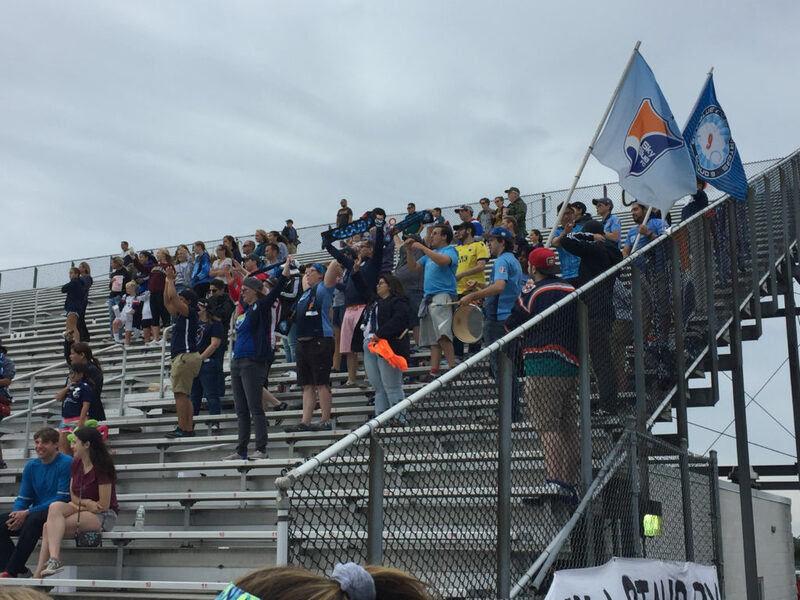 Before the biggest NWSL crowd at Yurcak Field since 2015, Sky Blue FC finally got their first win of the season at the 24th and final time of asking, stopping Orlando 1-0 Saturday afternoon. In doing so, they finish with nine points, still an NWSL record low, but keeping the hapless 2011 Atlanta Beat (7 pts.) at the bottom of the heap for lowest in American professional women’s soccer history (although they only played 18 matches). Sky Blue should have had a couple other wins this season, and it’s hard to say Saturday’s wasn’t deserved: SBFC hit a pair of crossbars and had the better chances. Immediately afterward, everyone involved with the team was all smiles, not only from the relief of being spared the ignominy of a winless campaign, but also because the long, long season both on and off the field was over. PODCAST: Dan, Chelsey, and Claire on post season awards, Sky Blue’s future, and more! The story of Sky Blue this season off the field has been well documented on this site, and since it first was, many of the players have been emboldened to speak out, none more so than goalkeeper Kailen Sheridan, who did so again after the season finale. This is a welcome change from previous iterations of women’s pro soccer, where many players were afraid to be candid, lest the league itself be yanked from their clutches completely. Even when Dan Borislow and his magicJack team threatened to turn WPS into a farce in 2011 (it was actually much, much worse than that as Ella Masar could tell you), many players still didn’t talk about conditions out of fear.
.@Kailen_Sheridan fired off some choice words about Sky Blue’s problems after the season finale. So Sheridan’s observations (Sheridan was just 14 or 15 when much of the WPS shenanigans were going on) are welcome, and it is proof that we are making progress, albeit a two-steps forward, one-step back approach that can be frustrating at times. To that end, there is no doubt that NWSL will return in 2019. But in a World Cup year, how will it look? Australia – now a World Cup contender – has players that have played 80 (?!?) matches in the last 18 months and Jill Ellis and the USSF have pulled United States national team players early for friendlies this season, so there’s no telling how early U.S. participants will have to depart their NWSL teams for a tournament beginning on June 7. Is it fair to play half a season without them? How big a step back is it if the league goes back to a 20-game regular season? These are all questions that will have to be answered soon (by the commissioner perhaps?). Getting back to Sky Blue, it is becoming increasingly apparent that Saturday’s game will likely be the last in their history, at least in the current iteration. General manager Tony Novo broached the idea of moving to Jackson, N.J., home of Six Flags Great Adventure, in a new facility that would include adequate training, but it is not near any large city. While an odd number of teams made scheduling a chore this season, trying to do it next year with the World Cup may be impossible, so (unless they can add an expansion team for next season, but the probability of that happening decreases with each passing day) the easiest thing to do would be to contract Sky Blue and play 2019 with eight teams. It would be a step backward and allow even fewer women to play American professional soccer, but it could be followed by two steps forward in 2020 (although there will be an Olympics to work around) if Los Angeles and one of the other rumored sites (San Jose? Somewhere in New York?) join the fray. I’ve been wrong before, but the NWSL – despite its many flaws – is not leaving us any time soon. You only had to look around the league this week to see why: Portland drew more than 21,000 (?!?) for its regular season finale against Seattle. North Carolina’s 9,505 were boosted by a men’s doubleheader but the Courage played the second game and almost all the crowd stayed, at least until the game got out of hand. Meanwhile, Utah’s first season was up and down, but its attendance numbers weren’t. Franchises that are successful will pull the rest up, even if it takes time, because Orlando and Houston can’t hide behind just putting a team on the field when their competitors have shown successful women’s franchises can be done if the resources are allocated appropriately. Nostalgia will make us miss Western New York, Boston, or Sky Blue, but as harsh as it may be sometimes to say, the NWSL is better off without them. What Went Down: When Sky Blue’s game with Washington was moved to Sunday after lightning delays (they went on to draw 1-1), they were pretty much doomed in this match. 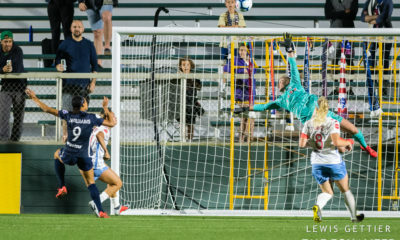 It should be remembered, however, that it was only 1-0 at the half, although the Red Stars – who needed a draw to clinch a playoff berth – were dominant for 90 minutes. 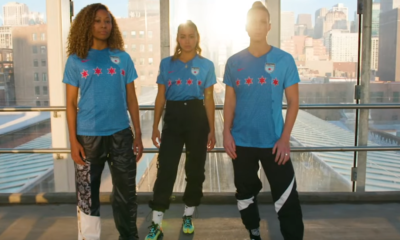 Chicago did not have its national team players, but did play Sam Kerr 84 minutes (and then started her against Utah later in the week as well). With all of their injuries at the beginning of the campaign and the Sofia Huerta trade, Chicago deserves credit for steering the ship through the rough waters and playing its best soccer at the end of the year. Will they have something for North Carolina next weekend? I guess we shall see. Player of the Game: Arin Gilliland – Gilliland took advantage of a tired Sky Blue to basically run unopposed down the flank, which got her two assists in the end. Gilliland had her struggles in the middle of the season, but has played well at the end of the season and will be a big factor this weekend. Under the Radar: Alyssa Mautz – It’s tough to get under the radar with two goals, but Mautz has largely done her job well this season and was rewarded with the first-half tallies in this one. . Inside the Numbers: 7 – Minutes of second-half stoppage time in this match. Why? Michelle Vasconcelos finally scored in the seventh minute of that time for the match’s final goal as Sky Blue scratched their heads and wondered what they had done to deserve it. What Went Down: There was obviously no way Megan Rapinoe was going to play in this game, even if home field was on the line. The bigger omission, however, in this matchup was Allie Long. Morgan Andrews has played well, but she and Rumi Utsugi were no match for Lindsey Horan and Christine Sinclair in the middle. We’ll see how Vlatko Andonovski adjusts for this weekend’s action. Of course, stopping the Tobin Heath-Horan combination has been virtually impossible in the last few weeks, whether on set pieces or on the goal Heath scored in the second half. The Thorns also only conceded six shots (two on goal), although one was a Jess Fishlock goal early. The Reign will certainly do their best, but not sure they can hold a full-strength Portland down for 90 minutes. But Vlatko has done it before. #PORvSEA under the Friday night lights in front of a sell-out crowd did not disappoint. Player of the Game: Lindsey Horan – With Rapinoe injured at the end of the season, I think Horan is your 2018 MVP over Crystal Dunn and a hard-charging Sam Kerr. Horan has been lethal on set pieces, but also just controls the middle of the field, distributing to people like Horan and Margaret Purce (who got a start on the wing with Hayley Raso out). Under the Radar: Meghan Klingenberg – Perhaps with the national team pressure off for the time being, Klingenberg has played very well in the regular season’s final weeks, and will be key to opening up Heath and creating chances for the Thorns this week. Inside the Numbers: 6 – Number of minutes played by Portland’s bench in this match. Will Mark Parsons employ the same strategy on Saturday? Beverly Yanez came off the bench for Seattle, which should give them a boost next week. What Went Down: Even Tom Sermanni, whose team had a collapse of epic proportions at the end of the season, was happy for Denise Reddy and Sky Blue after the contest. It’s not that Sky Blue was dominant, but they did hit a pair of crossbars before Carli Lloyd finally got the eventual game-winner with 15 minutes remaining. And SBFC was in so many matches like this over the course of the season that they deserved to win at least one (probably a few more, but you get the point). Alex Morgan was outdone by Erika Skroski on this day, which – with all due respect to Skroski – is a microcosm of how things went wrong for both Morgan and the Pride in the second half of the season. 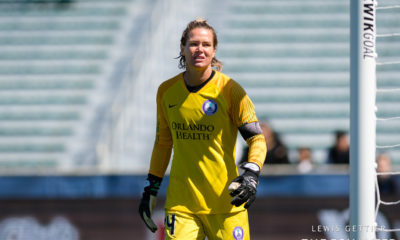 Orlando may actually be rooting for expansion, which would allow them to get top value for players like Morgan as well as some other veterans and start over. If not, while there will always be a market for Morgan, trying to rebuild with no draft picks is not going to be easy.
.@SkyBlueFC defeated @ORLPride in today’s early kickoff. Player of the Game: Erika Skroski – She has had some tough days in the back for Sky Blue the last two seasons, much of it not completely her fault, but she was excellent in the season finale as her team posted a clean sheet. Under the Radar: Carli Lloyd – We’re still not sure about her calling out her teammates, but give Lloyd credit for showing up every game and playing at a high level. Her goal was a classic Carli Lloyd finish. Inside the Numbers: 6 – Number of shots by Imani Dorsey in the game. If Sky Blue does exist, they’ll want Dorsey to repeat her form at the end of the season in 2019. What Went Down: The Red Stars played Sam Kerr and a few other non-U.S. national team starters, but rested about as many players as they could, and yet still had a lead in the second half before the Royals scored twice to beat them. Utah seemed extremely interested in ending the season on a good note and came out motivated to do just that in the second half, getting goals from Amy Rodriguez and Katie Stengel. The Royals couldn’t score consistently this season, and if they an figure out a way to do that, they should be playoff bound in 2019. Among the players Rory Dames rested were Vanessa DiBernardo, Julie Ertz, Casey Short, Danielle Colaprico, and Morgan Brian (although the last two came on late). So he was probably pleased with his team’s performance, even though they lost a second-half lead. Dames will need to come up with a game plan to slow down North Carolina’s speed, as he doesn’t have the fastest defense to work with. 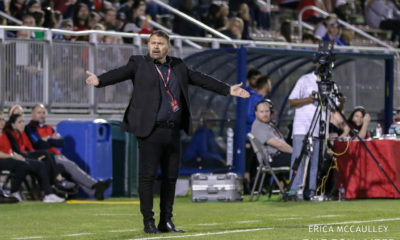 However, he’ll believe Kerr can score against anyone.
.@UtahRoyalsFC earned a comeback victory over @chiredstarsPR. Player of the Game: Katie Stengel – She has been very effective in the second half of the season, and if Utah’s roster stays intact, it will be interesting to see how Laura Harvey goes about using her next season. Can she, Christen Press, and Amy Rodriguez play together? She probably will, at least to begin the season. Under the Radar: Yuki Nagasato – Nagasato has had a stellar season and finished it with another solid performance. If she gets enough of a chance to pair with Kerr this weekend, the Red Stars could score goals. Inside the Numbers: 11,851 – Attendance at Rio Tinto for the season finale. Did not look like quite that many on the broadcast, but still a successful first season off the field for Utah. What Went Down: As opposed to Chicago, North Carolina rested virtually no one, and in its first game without McCall Zerboni (elbow injury with the U.S. national team if you missed it), Paul Riley put Crystal Dunn in an attacking midfield role with Debinha. I wasn’t a big fan, but obviously it worked here for the Courage, who ran over the Dash in this match. Is that how North Carolina will line up Sunday? Stay tuned, I guess. Vera Pauw responded with a double pivot of her own, but it seemed to limit Linda Motlhalo’s effectiveness, leading to a frustrating ending to a great season for Houston, which finished about 20 points above where I would have put them in February. This is some work to do, both on and off the field for Houston, but this season gives them hope and probably has them in a better place than Orlando at the moment.
.@TheNCCourage ran rampant in a record-setting victory. Player of the Game: Jess McDonald – Two more assists gave McDonald the league lead at the end of the season, quite impressive for the 30-year-old, who had been on several teams before finding a home with North Carolina. 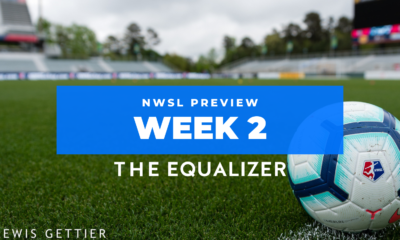 Under the Radar: Abby Erceg – Erceg assisted on the first goal and is the main cog in a defense that set the record for fewest goals allowed in an NWSL season. Hopefully, she’ll get the credit she deserves for it. Points (57), Wins (17), Fewest losses (1), Goals (53), Fewest goals allowed (17), Goal differential (+36). Many of them will likely stand for a little while, and no matter what happens to hem in the next couple of weeks, these accomplishments should be remembered.